Belljar is now six months old and making parents Sam and Angela proud. 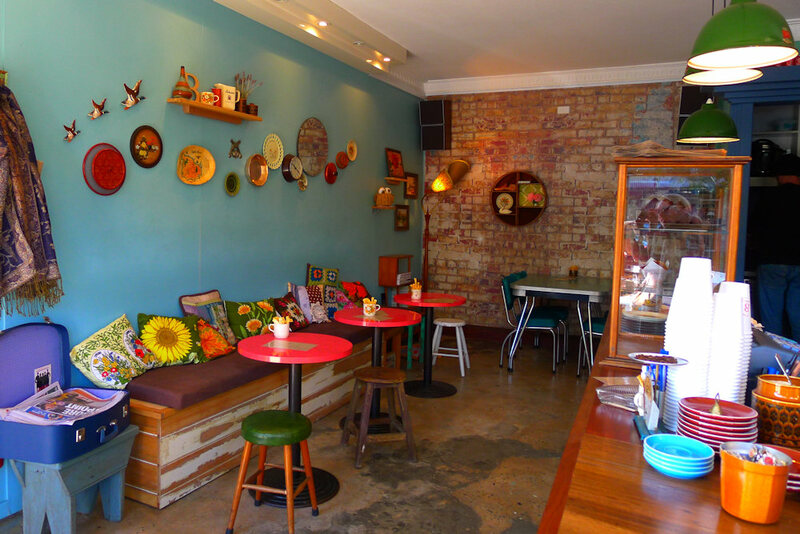 The café is just as charming, possibly more colourful and offers a larger selection of items on the menu compared to when we visited earlier this year. 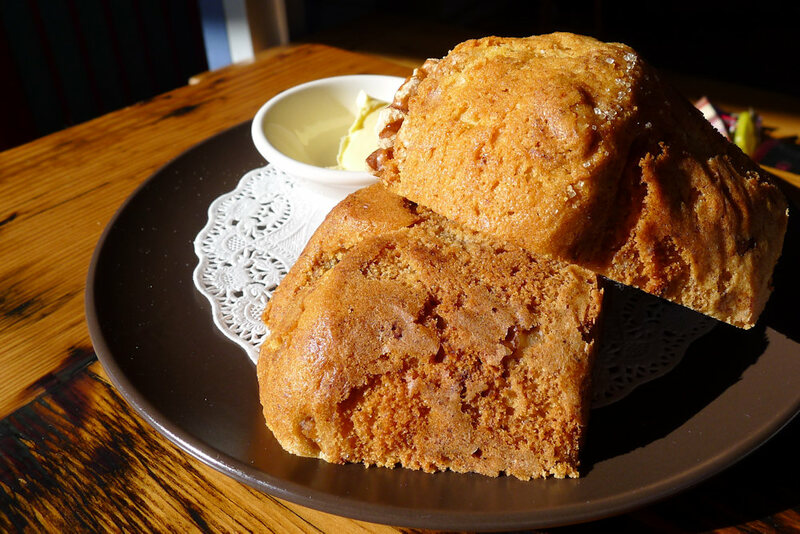 They now offer larger breakfast plates which are packed full of delicious and fresh produce (see below) and a range of baked goods and pastries. You’ll notice the absence of many traditional items such as bacon and eggs and fried foods. Due to council regulations they are limited to mostly pre-prepared foods which can be toasted or grilled. Belljar work around this by offering a simple yet delicious selection of items. We arrive at 10am and there’s still plenty of space available. As the morning progresses there is a steady stream of dads with kids in tow ordering takeaway coffees (supplied by Little Marionette). 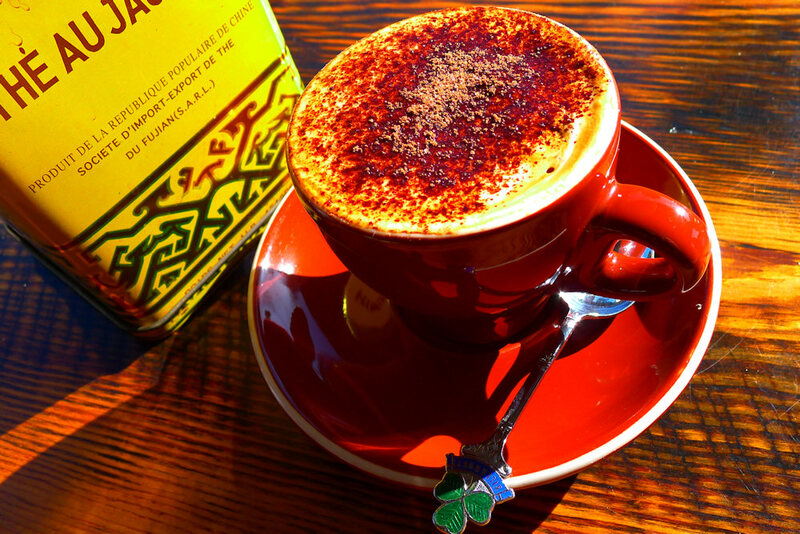 Our coffees are delivered surprisingly quickly considering the number of takeaway orders. 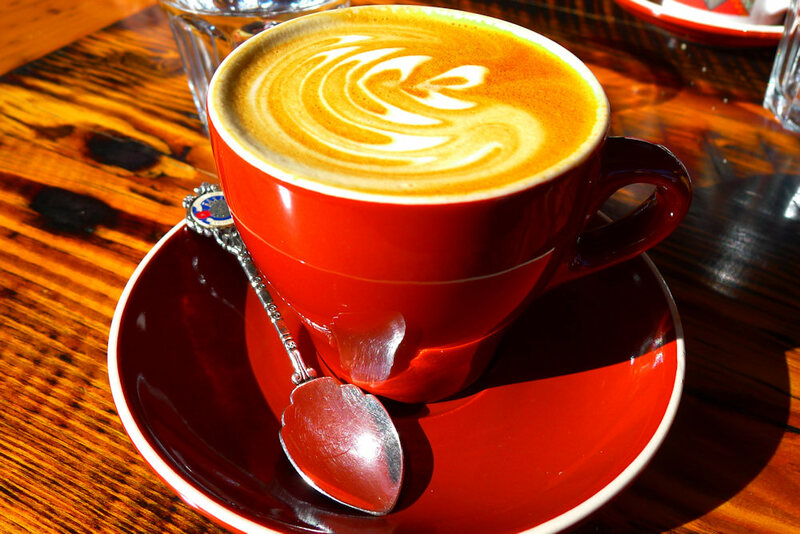 We get the thumbs up from the flat white ($3.50) drinkers while the cappuccino ($3.50) drinker comments it’s slightly bitter. The soy decaf cappuccino ($3.50, add 50c for soy and another 50c for decaf) is rather bland so we’ll stick to the real thing in the future. The sugar sachets are presented in vintage tea tins with French inscriptions. C’est très chic! Belljar limit their cold drink range during the winter months. 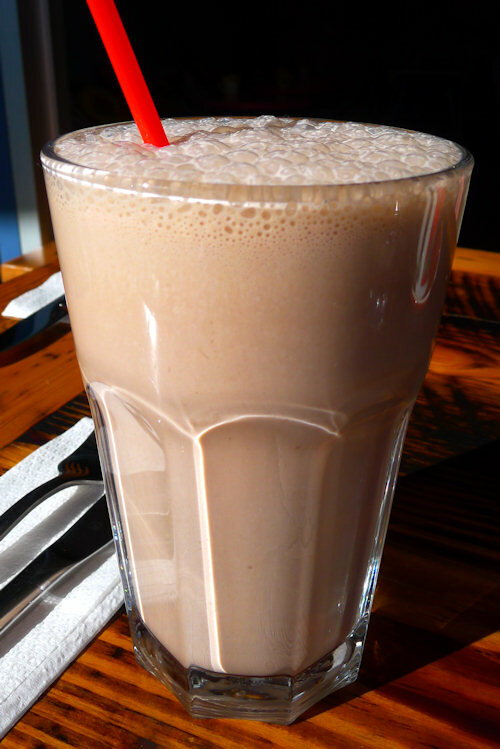 However Dane can’t go past a Chocolate (also available in vanilla) milkshake ($6). It tastes great however Dane prefers his chocolate streaked down the inside of the glass for extra flavour. Nonetheless the milkshakes are thick, cold and worth it despite the cold winter morning! Other drinks available include the danger shake (triple shot, ice, ice cream and milk) ($7). We dare you to try it and let us know how it is. The banana smoothie ($6) and a mixed berry frappe ($6) are not as adventurous but very delicious. We know because we tried them last time. Look at that tea cosy! It’s so adorable it hurts. 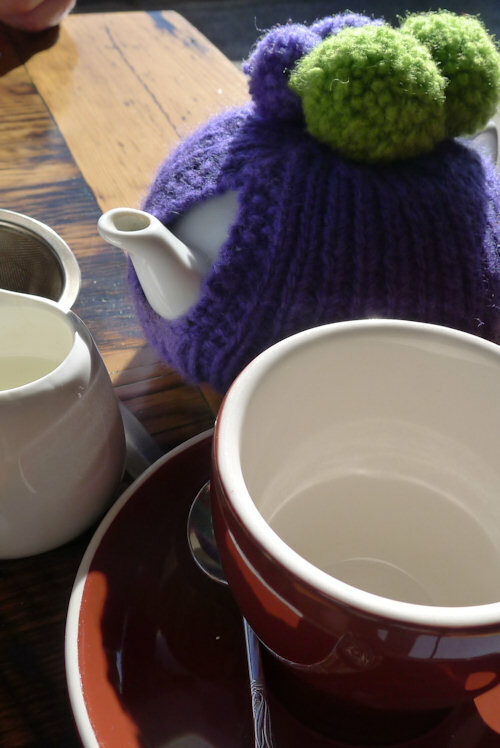 The Earl Grey ($3.50) was delicious and stays remarkably warm thanks to the woolen accessory. With all this charm and hospitality we feel like we’re visiting grandma. 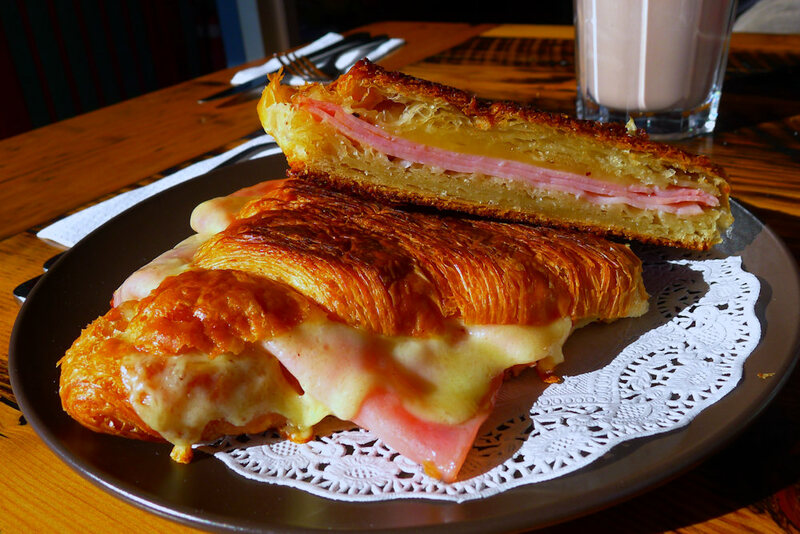 Our guest requests a ham and cheese croissant and the reply from the waiter is a friendly “of course”! Generous layers of both cheese and ham made this truly scrumptious. We look for a vegetarian option and request a breakfast sandwich (egg, bacon, tomato and chutney)($8) minus the bacon and tomato. Despite the strange request the waitress is very helpful and agrees. Hooray! The egg (free range of course) goes well with the spicy and chunky chutney. The salad on the side is a nice addition and goes well with the crunchy bread (sourced from Sonoma). Angela the owner says that Saturday mornings are the busiest times followed by weekday lunches. Their customers are mainly locals who live, work or study in the area. TAFE students, teachers from the local school and tradies have become loyal devotees. Angela says that one of her customers calls the chicken sandwich ($8.50) (with spicy mayo, pickles and cheese) ‘The best sandwich in Newtown.’ We’ll have to put it on our list to try next time. 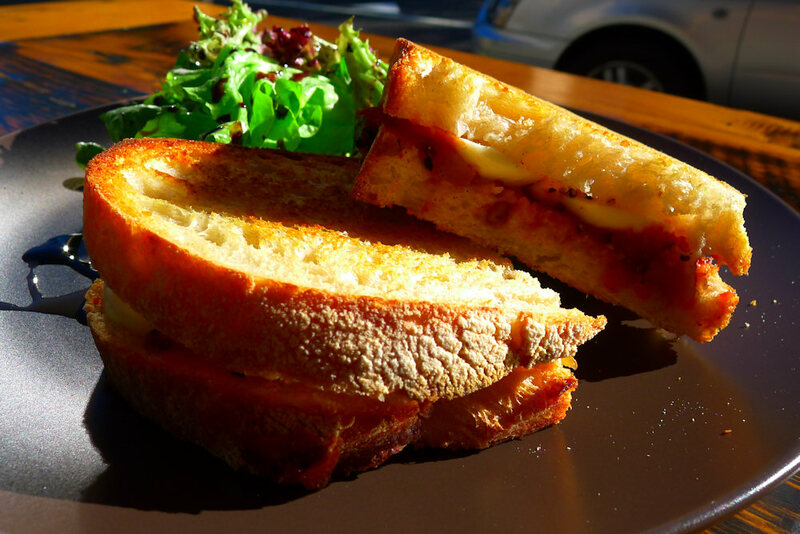 They cater for the lunch crowd by offering a range of soups and sandwiches with daily specials. 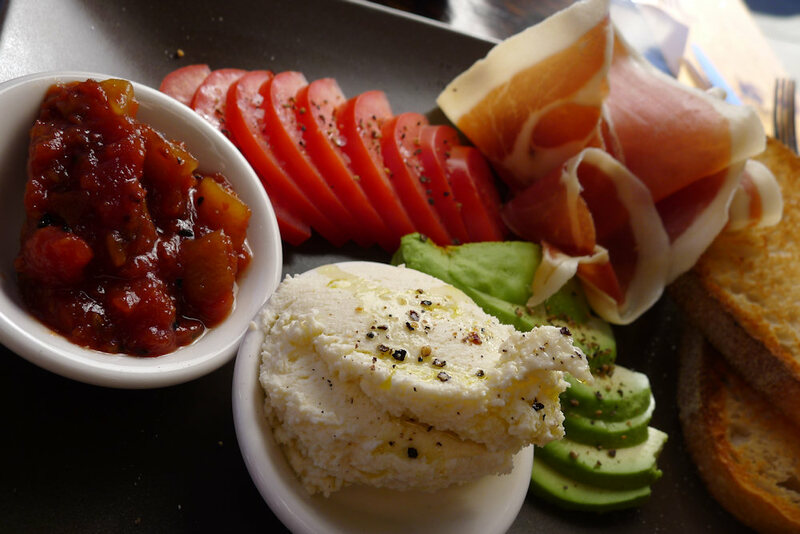 The prosciutto, tomato, ricotta, avocado and tomato mango chutney ($12.50) is one of two breakfast plates. It’s a great option as you can decide how much of each item you want to put on our toast and how you want to mix the flavours. The food quickly disappears, testament to a great meal. 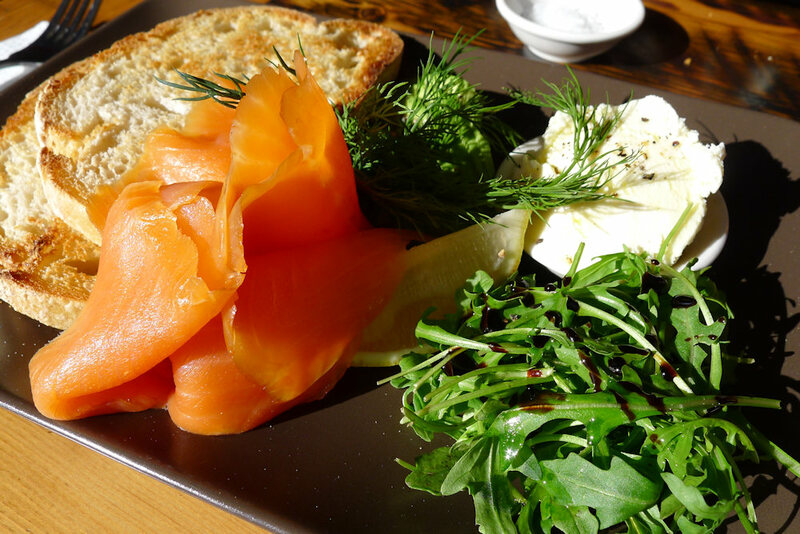 The second breakfast plate option is the salmon ($13.50). Again, the plate bursts with a variety of fresh ingredients and they are all in ample supply. When combined with the toast, the avocado, smoked salmon, ricotta, lemon and dill showed that simple dishes executed well can often be the best. The rocket salad with olive oil and a gorgeous vinaigrette complements the main dish perfectly and a simple salad like this is often what’s missing from the plates of other cafés. The staff at Belljar are quick and helpful and we remember from our last visit that the sandwiches are also fantastic. One thing we would like to see is another sweet breakfast (other than the muesli with yoghurt and berries ($8)) or perhaps a fruit option. We’ll be sure to return in the warmer months to try the chilled drinks again and to wish them happy first birthday.